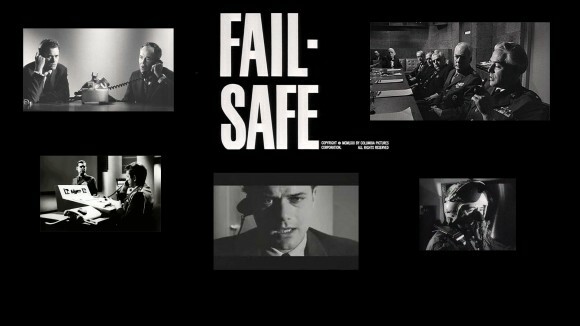 Let’s not argue about this: the three greatest films about the Bomb are John Frankenheimer’s Seven Days in May, Stanley Kubrick’s Dr. Strangelove and Sidney Lumet’s Fail Safe. All three were released in 1964, when movie-goers were still trying to forget the Cuban missile crisis. Previous posts have given kudos to Dr. Strangelove and Seven Days in May. Now it’s time to praise Fail Safe. Documentaries about the Bomb usually do not have lingering effect, perhaps because they play so blatantly on fears. Humor and subtlety can have greater resonance, particularly when the subject is how technology and mistrust can produce nuclear nightmares. One remedy repeatedly proposed to prevent accidental nuclear war is to reduce the alert status of nuclear weapon delivery vehicles. The counter-argument is that “de-alerting” is a technical fix that can’t solve what is essentially a political problem. The numbers of launch-ready U.S. and Russian warheads remain excessive. More than twenty years after the Cold War ended, Hans Kristensen estimates that Moscow maintains slightly more than 1,000 warheads ready for prompt use, while Washington maintains approximately 800 weapons in a high state of launch readiness. You don’t hear public officials arguing the case for these requirements because (a) it is so hard to do, and (b) most listeners would find these explanations deeply disturbing. But it is also hard to choreograph bilateral reductions in launch readiness, or to place much confidence in them. Bruce Blair has been arguing the case for “de-alerting” for a long time. His book, The Logic of Accidental Nuclear War (1993) was an important contribution to debates over deterrence. Bruce’s arguments for de-alerting were never more persuasive than during and after the demise of the Soviet Union, when command and control arrangements in Moscow were iffy. Recognizing this grave threat, the George H.W. Bush administration focused on weapons rather than launchers, initiating parallel steps to move warheads available for prompt use away from forward areas to central storage sites. These presidential nuclear initiatives were not subject to verification, and subsequently prompted concerns that Moscow didn’t keep all of its promises. The first Bush administration did not, however, have the time or luxury to engage in lengthy negotiations over monitoring arrangements and numbers. The George H.W. Bush administration negotiated deep, verifiable cuts in launchers, as well. President George W. Bush – another skeptic of de-alerting — also authorized steep reductions in the U.S. nuclear stockpile. The strongest argument for reducing alert status is that far too many U.S. and Russian warheads remain in a high state of launch readiness – much higher than warranted by disputes that are very small by Cold War standards. The weakest case for de-alerting is as an anti-terrorism measure, the subject of a subsequent post. Complex technical fixes to de-alert U.S. and Russian forces will take time and energy. Both would be better spent on reducing stockpiled warheads and deployed launchers. I am not so sure that the most important “counter-argument is that “de-alerting” is a technical fix that can’t solve what is essentially a political problem.” Walter Slocombe presents a persuasive argument against de-alerting in “De-Alerting: Diagnoses, Prescriptions,and Side-Effects” available here: http://www.ewi.info/system/files/Slocombe.pdf where he notes that de-alerting would undermine “the chances for restraint in times of crisis.” Do you have any thoughts on Walt’s paper? States with nuclear weapons use increased alert status (sometimes advertised in the clear)as a signaling device. I don’t see how de-alerting can prevent this, and it may make the problem marginally, but not significantly worse, at least in my view. Next week, I’ll post about de-alerting in the context of Pakistan and India. Depending how it’s done, de-alerting could open a space for nuclear powers to play dangerous escalation games during a crisis. Let’s say Pakistan and India reached a de-alerting agreement. What happens after the next Mumbai attack, when India re-alerts? Michael, The closest you have got to defining ‘alert status’ is the remark – “The numbers of launch-ready U.S. and Russian warheads remain excessive.” Actually there is much more to it than that. Levels of ‘alert’ can be manipulated by a myriad of factors such as the positioning of human resources, technological proficiency, logistics of ‘wholeness’, status of warhead, status of delivery systems, ‘separation’ and so on. Alert status is a function of management of nuclear strategies in the concerned nuclear weapon states. Despite the existence of nuclear arsenals with the Western Powers and the erstwhile Soviet Union, now Russian Federation, for over half a century there is no hard evidence on the details of “alert status” or of these being mirrored in the two. The management of the factors, mentioned above, will vary depending on prevailing technological and military expertise, domestic political imperatives, logistic competencies, strategic doctrine and the concept of ensuring that strategic assets are in keeping with the prevailing security environment vis-à-vis nuclear armed adversaries. ‘Alert status’ is critical for the successful management of ‘deterrence strategies’ and is the highly classified core of the ‘nuclear strategy’. It would be dangerous to predicate employment of strategic forces on presumptions of “mirror image” conclusions of an adversary’s concept of ‘alert status’. I am of the view that theories on the concepts of ‘alert’ and ‘employment’ as advocated in the US or Russia would be unlikely to assess the state of strategic forces in the Indian Subcontinent. In the light of this I look forward to your post about de-alerting in the context of Pakistan and India. May I suggest that the inability for US and Russia to mutually de-alert stems from the lack of mutual interests and hence the lack of mutual trust. China never had any problem with the alert status of Uncle Sam’s nukes. One can argue that China deliberately sets its nukes on practically no alert in order to gain some negative assurance from the alerted nuclear powers, because they know that China will never nuke them first. If Walmart were stocked with goods from Russia and Kremlin had trillions of Uncle Sam’s paper currency, I am sure that both Russia and US will not waste money on such a juvenile xxxx-measuring contest that could potentially bring humanity to an extinction level event. Hence, the solution is to send more fat capitalists to Moscow and persuade the KGB men in Kremlin to learn a few tricks from their friends in Beijing. If we’re all agreed those are the three greatest films about the bomb, what are the three worst? My pick for #1 would be The Beginning or the End? (1946), which is just awful on every level. Although technically not about The Bomb, the worst WWIII movie ever had to be “Red Dawn”. When the Soviets invaded through Canada and the Dakotas, all I could think of was that attacking across a thousand miles of steppes had worked so well for Napoleon and Hitler, it only made sense that the Russians would want to test the theory themselves.